Discussion in 'iOS Apps' started by maurrubio, Jul 13, 2012. 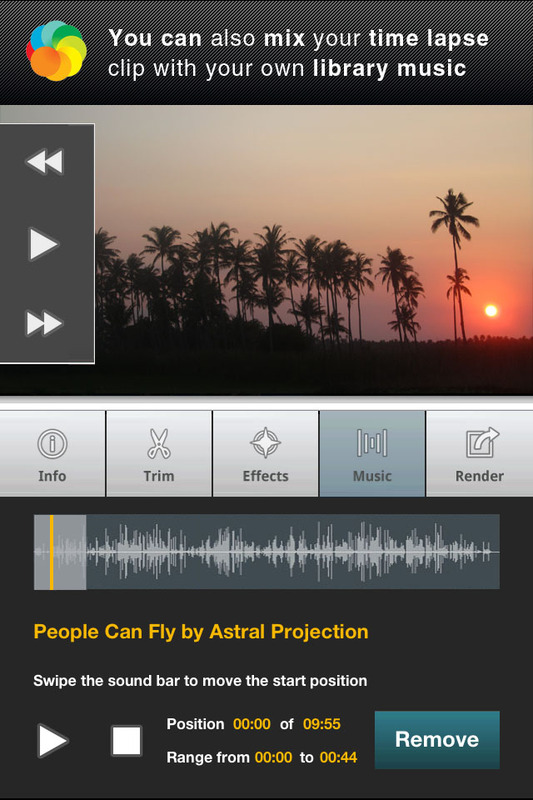 Hello guys, I'm posting here to show you this great time lapse app named Lapse It. It has been on top rankings of Google Play for more than a year and now its available on the AppStore in a free and a professional version. 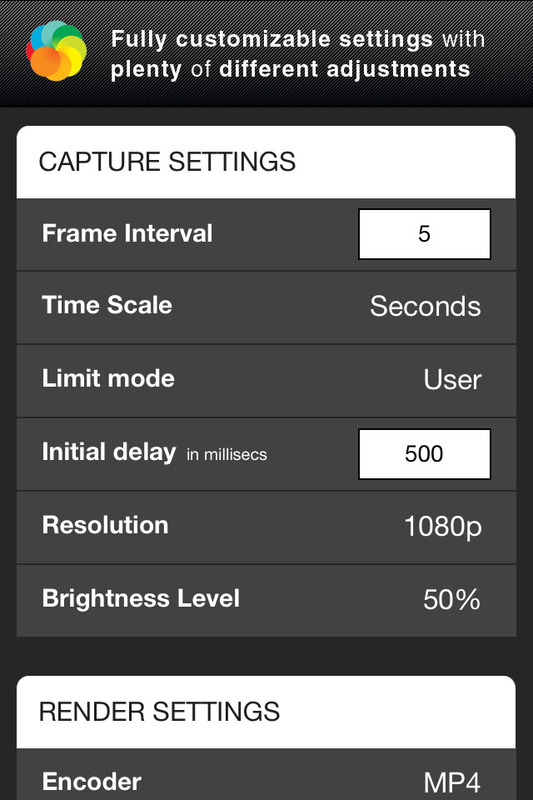 ● Adjustable focus, white balance and exposure. Thank you very much and I hope to hear some feedback ! Hello guys, someone had the opportunity the to test Lapse It? Thank you and my best regards ! Thought I'd give the "Professional" version a go. Seems to work ok. Locked up when I tried to import a song (empty library) although the project survived the app reset. 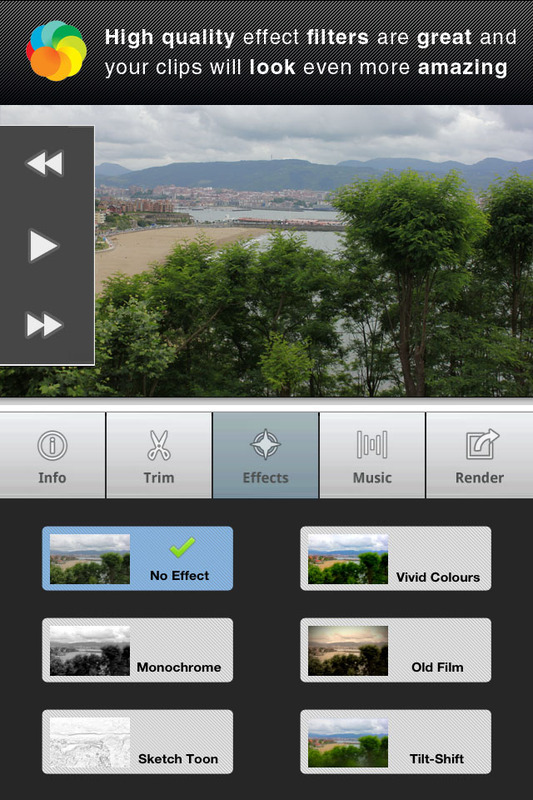 Enough options and simple GUI make it a effortless app to use. Thing that really annoys me is the 2-3 seconds of self promotion at the end of rendered videos... I'd expect that in the free version and not in the paid version. Based on the advertising I can't recommend the "Professional" version. Would hate to see what the free version does to your rendered videos. I totally understand that Pro users should have an option to do not include the ending advertising. The new version of the app ( 1.2 ) has this feature implemented, it's just a matter of Apple approval to get it on air, that should have in 1 or 2 days then I hope you can recommend it to your friends. Great, thanks for the reply and the update. I see it's live now so I'll update and give it a whirl! As stated above, the option to remove the Lapse It promo is there, and works! 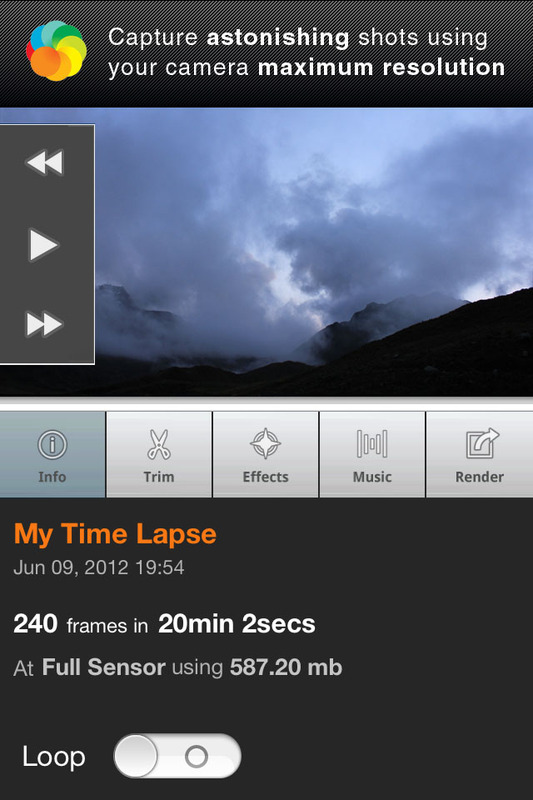 My favorite time lapse app by far now! 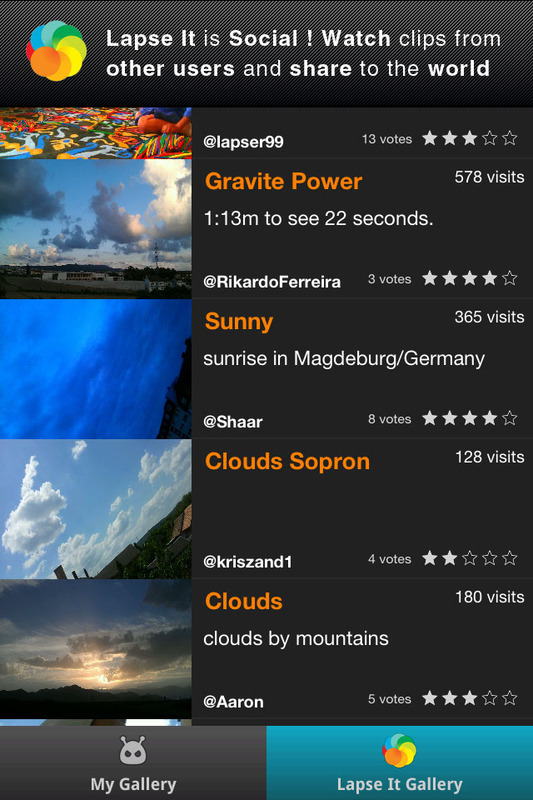 Hope more people continue to use the app to create some amazing time lapses ! I would love to hear more from other users too. For those who didn't downloaded yet, this weekend is a unique opportunity. Today is the first anniversary of the app, since it's first release on Android, and to commemorate we released a new update with some great features together with a sales promotion. For all this birthweek we lowered the app's price, from today to Sunday the app is now FREE, yes, the Pro Edition is now FREE, and from Monday until the rest of the week the app's price will be just 50% of the original U$ 1,99. I don't think we will do any promotional like this any time soon, so make sure you don't miss it. Thank you very much and my best regards ! 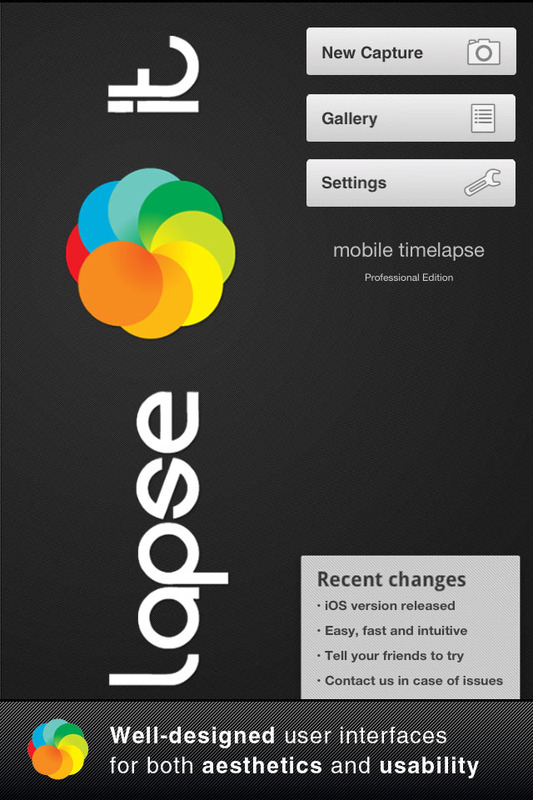 I bring good news about Lapse It, we just reached a new mark of more than 1.000.000 downloads in our free version. Because of that we released a new update with some amazing new features and we are doing a promotional event and part of it is reducing the app's price to just U$ 0,99. If you want to know more, there is more information in the first post. I'm sure all of you will like it a lot, and that you share it with your friends.